Catfish has a neutral, mild, non oily fish taste which often takes on the flavor of how it is prepared. The texture is lean, firm and flaky. Catfish ranks as one of the most popular fish consumed in the United States thanks mainly to its taste and heart healthy omega 3 fatty acids. The consistency of the flavor and texture has also made fresh catfish a fixture on restaurant menus everywhere. The Monterey Bay Aquarium Seafood watch ranks Catfish farmed in the US as a best choice as it is farmed in an ecologically responsible manner. Catfish is low is sodium, it is also a good source of Thiamin, Potassium and Selenium, and a very good source of Protein, Vitamin D, Vitamin B12 and Phosphorus. So when buying fresh catfish online, make Anderson Seafood your first and last source, we bring the finest selection directly to your kitchen. Your experience with Anderson Seafoods will leave you compelled to inform others of the impeccable experience and caliber of goods they will receive when placing an order with us. If you are a fresh fish eater and always seeking the highest quality product available. Most people generally purchase from local suppliers and groceries stores to which you would typically dissatisfied and eat the fish just out of obligation. Your best experiences would probably be dining out to which, the quality was not always as expected either. As a result you would make many efforts to seek alternative solutions even online. Try www.shopandersonseafoods.com, you would be pleased you made that purchase. Not only will the order be delivered as promptly as stated on the site, but the fish contained therein as fresh looking. From the superior packaging to the cuts of each fish, the truth is in the taste. In addition to the amazing quality, taste, appearance, and texture of the fish itself, the customer service is outstanding. Anderson Seafoods values the care and ultimate happiness of our customers and will work to do whatever may be necessary to rectify an error, accommodate a complaint, or just satisfy a general concern. 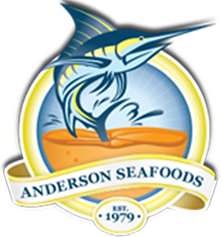 So if you are in the market and provide a resounding endorsement for both product and customer service, try Anderson Seafoods.